Shop the NuFACE Trinity Wrinkle Reducer Attachment at LovelySkin.com. 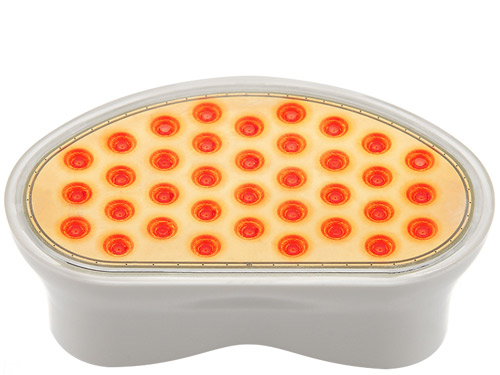 Give wrinkles the red light with the NuFACE Trinity Wrinkle Reducer, a red LED light therapy attachment for your NuFACE Trinity device. FDA-cleared for the treatment of full-face wrinkles, the NuFACE Trinity Wrinkle Reducer delivers a precise combination of red, amber and infrared light that penetrates different depths of the dermis, naturally reducing the appearance of fine lines and wrinkles. NuFACE Trinity device is required to use with this attachment. Tell us your thoughts about NuFACE Trinity Wrinkle Reducer Attachment and receive 50 rewards points! I love this NuFACE attachment! I use everyday, and my skin is glowing. I am noticing that my wrinkles are looking like fine lines, and my fine lines look smoother. I will keep using it for sure! My friend loves hers too! I really like my Trinity device. It is easy to use and seems to be working, especially on my lower face. Not crazy about the smaller eye and lip attachment. My favorite attachment is the LED light, I can use it while I walk around doing things around the house, unlike my baby quasar which needs to be plugged in and covers smaller areas at a time. Completed 90 days of the NuFace wrinkle reducer attachment about 2 weeks ago and saw little results. 2 weeks ago, I decided to smooth on a matrixyl serum before using the attachment. Wow! My lips are plumper and the skin around my mouth smoother. Less dramatic improvement on forehead and in temple area. Have not yet seen the results on my neck. After using the wrinkle reducer attachment, I spread on 24k gel and use the large and small sphere attachments to tighten muscles. Small improvement, but not that noticeable. I've only been using the wrinkle reducer for a few weeks, so it has not been enough time. I have seen slight improvement. I do have high hope because I have been more than pleased with all the other Trinity tools. I have been asked if I had a face lift. Will give a update with more time. After using consistently for two months, I could see improvement in fine lines along with an added radiance to my skin. I'm not sure it's helping with some of the deeper set expression lines on my forehead though. This is a great attachment to use with the Trinity. I have been using it for about 3 weeks and I see a great improvement. My "marionette" and frown lines are less apparent, and my skin tone is awesome for a 3 week usage. I am glad I made the additional purchase. I started using the Trinity Wrinkle Reducer 4 weeks ago, every night, 5 days/week and I see the skin on my face definitely brighter and firmer, with the "marionette" and frown lines being less and less pronounced after every use. I am 61 years old I exercise regularly and I believe in exercising the face muscles as well as the body's. 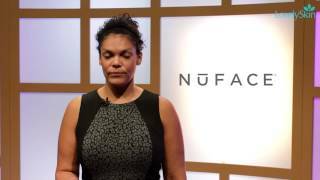 I purchased my Nuface Trinity four months ago and I am now maintaining the results with 3 morning sessions per week. I also use the ELE in my morning routine, leaving the Wrinkle Reducer for the evenings. 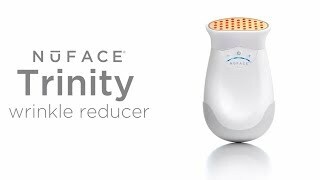 I love the Nuface Trinity and its attachments because it's helping me tremendously to regain my self-confidence and how I look. I would definitely recommend this product to people that are not ready for plastic surgery and I can honestly say that I am happy with the results I see on my face when I look in the mirror. I have few fine lines on my face and only used this product for less than a month now, so I can't say if it's helpful for reducing wrinkles but I think it's good to use it as a preventive care for getting new wrinkles. I honestly have only been using this attachment for a short time. I am in my 60's and have hopes of softening/reducing some of the finer lines in my face. It is a pleasant treatment to do and I feel as if my mature skin seems somewhat brighter after using it. I clearly don't expect miracles but a healthy skin regime is a positive thing at any age. I have only used this twice but I noticed the difference right away. I will definitely continue to use this as suggested. In my opinion, it really works!